When your hard drive reaches the end of its life cycle what do you do with it? Most people know that it needs to be destroyed but what does that mean? Many State, Local Governments and Higher Educational facilities end up stockpiling drives in basements and/or storage closets. Have you ever heard of the statement “out of site out of mind”? So the million dollar question is – how do I destroy my hard drives and SSDs? The most popular option for State and Local Governments with low volume is the Model 0101 Hard Drive Crusher with SSD Kit. through the hard drive chassis while destroying the internal platter. Now with the addition of an optional SSD Kit you now have the capability to destroy both rotational drives and SSD’s. This is typically enough of a security standard for most applications at the State and Local Government level. When you think of purchasing a machine to destroy hard drives and SSD’s you may think that it is expensive, but that’s not always the case. For a little over six thousand dollars you can purchase the SEM 0101 Hard Drive Crusher with SSD kit. 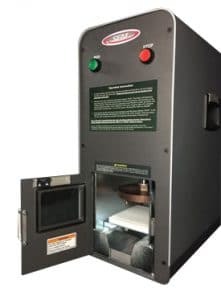 This machine provides you with maximum security because you are destroying the drives in-house as opposed to using an outside shred service. Thisprovides both maximum security and is also the best value. 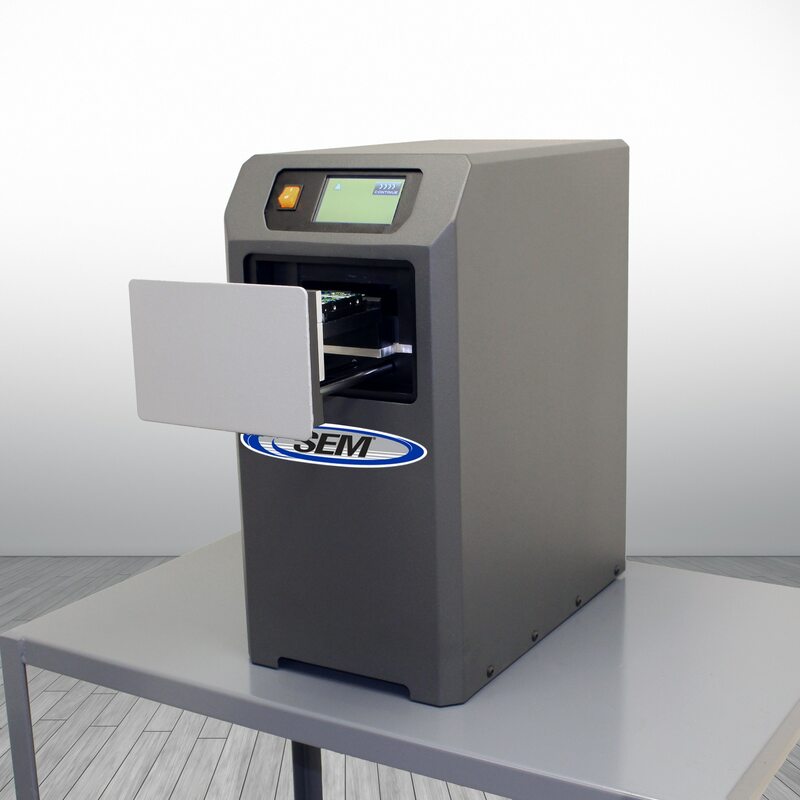 If you need to destroy hard drives, SSD’s, laptops, blackberries or any other type of electronic media, SEM has a solution to meet a wide variety of budgets. For more information on hard drive and/or other (optical, tape, etc.) media destruction systems, please visit our website at www.semshred.com/state or contact us directly at 800-225-9293 EXT. 1048 or m.sousa@semshred.com to discuss your destruction needs.